Bilingual day care: the theme of the article! 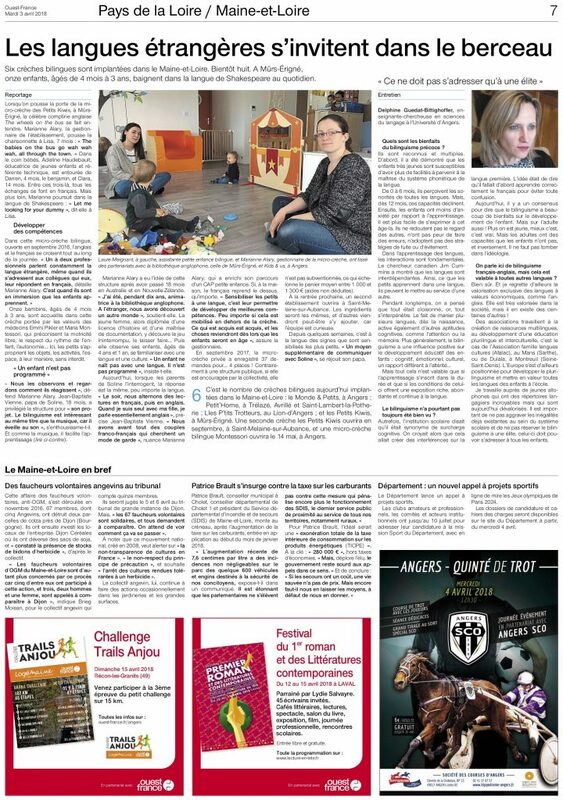 Tuesday April 3rd, the bilingual day care is on the first page of the Ouest France. There is an article about bilingual day care in Maine et Loire with a focus on Les Petits Kiwis. Thanks to the amazing job of the journalist! Follow the link or read the picture! Enjoy!